A shiny coat on your dog is living proof of his or her health – something pet lovers clearly want for their canine friend. The healthy look of a glowing coat means that the individual hairs are in good condition – intact and without split ends, providing good insulation (especially important in winter) and helping to prevent disease. 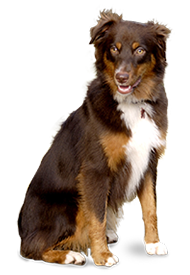 If a dog’s coat loses its shine and looks dull or lifeless, this can indicate poor nutrition. Of key importance in maintaining a dog’s health, a good diet should contain quantities of some real meat as well as regular protein, ideally with minimum by-products. 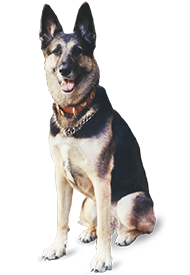 Additionally, deterioration in a dog’s coat may also indicate the presence of parasites including worms in the gut, fleas or tics – or even thyroid gland problems and kidney conditions. Here, an appointment to visit the vet will be necessary. 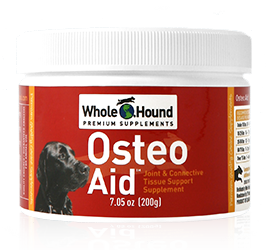 Dog vitamins can help with making a dog feel better and maintaining a shiny coat. For soft skin and strong hair, the right vitamins include healthy omega-3 acids. Many canine multivitamins contain a combination of Vitamin A to promote hair growth by lubricating hair roots in addition to the Vitamin B complex, which helps to regulate hair growth. Vitamin B6 (Pyridoxine) helps to metabolise protein well, along with Pantothenic Acid. Similarly, vitamin E promotes oxygen circulation in the blood, promoting healthier skin beneath the hair follicles. A combined dog vitamin supplement like our Total Health Plus blend gives the best results. Finally, most dogs find coconut oil to be a tasty condiment when added to other food in their bowl. This maintains the animal from the inside out, supporting thyroid function and enhancing metabolism. The other week, I noticed that my dog’s coat wasn’t as healthy as it used to be, so I took her to the vet. However, my vet said that there weren’t any parasites causing problems, and that she seems to be healthy. However, I think I’ll try getting some vitamins anyways. Although my dog is healthy now, that may not always be the case. Instead of waiting around for my dog to develop a thyroid or kidney problem, I’ll start feeding her vitamins now.